Every Mistake is an Opportunity to Make Something Beautiful! Beautiful Oops! is a one-of-a-kind bestseller that started a movement: It’s OK to make a mistake! Along with his recent follow-up, My Book of Beautiful Oops! 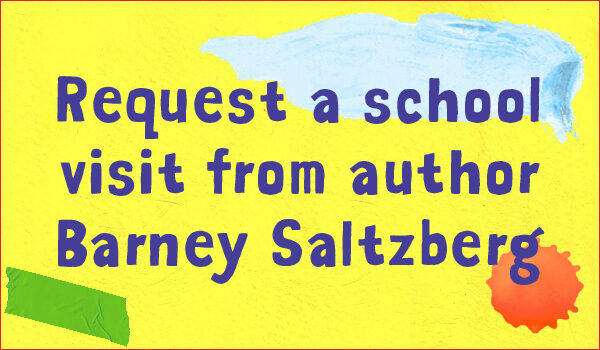 (a fill-in artist’s journal), Barney Saltzberg’s books show young readers how every mistake is an opportunity to make something beautiful. Chock full of imagination, creativity, and paper engineering, Beautiful Oops! and My Book of Beautiful Oops!are filled with pop-ups, lift-the-flaps, tears, holes, overlaps, and smudges—each demonstrating the magical transformation from blunder to wonder. Join the CELEBRATE OOPS! movement and foster a spirit of creativity and confidence in your classroom. 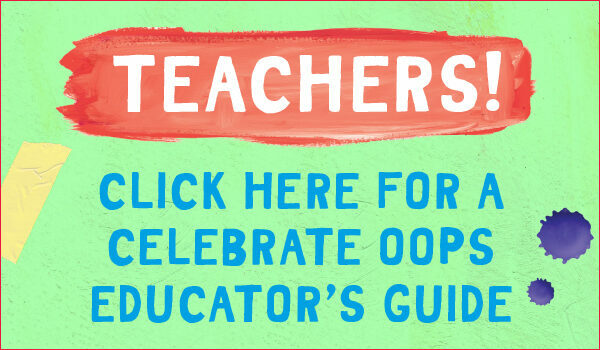 Sign up and you’ll receive classroom materials, including a poster, stickers, and an Educator’s Guide. Then, using the hashtag #beautifuloops on social media, share your classroom projects with us as well as your fellow educators. 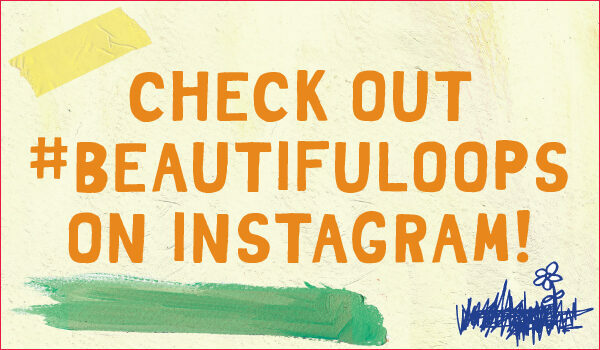 Or just read Beautiful Oops! 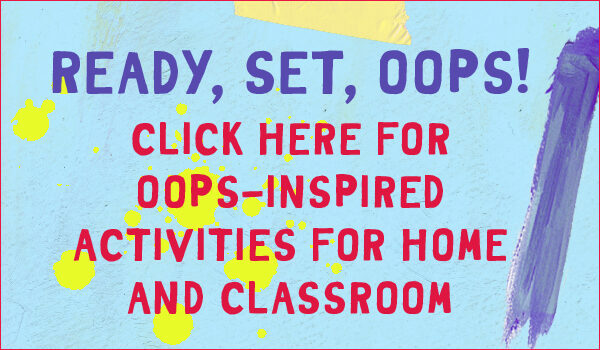 in your classroom or library, and celebrate the idea of turning accidents into teaching moments.